Journalist and amateur boxer Mischa Merz fulfills a long-held ambition to travel across the United States and compete in a series of amateur boxing tournaments. On this wild and fascinating journey she meets her idols, including Lucia Rijker of Million Dollar Baby fame, and some other truly extraordinary characters. Merz discovers the horrors and delights of the world of women's boxing and gains insights into this eccentric subculture's place in American life. She also meets some of the pioneers and trailblazers of the contemporary rise in women's boxing as well as some of the younger stars now hoping to make it onto the first women’s boxing team in the 2012 Olympic Games. Written in a compelling and highly entertaining narrative style, Mischa Merz takes us right into the ring and reports, with a rare insider’s view, on a sport that has for centuries defined our ideas about masculinity. 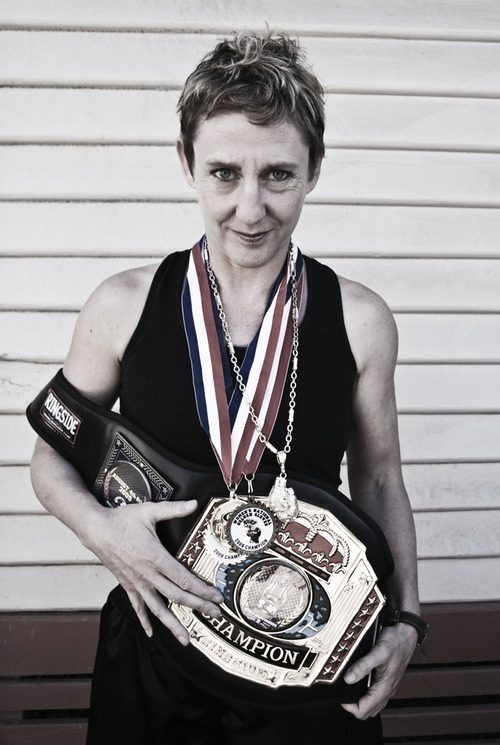 A journalist and author of both fiction and creative nonfiction, Mischa Merz began training as an amateur boxer in 1995 and in 2001 became the Amateur Boxing League women's welterweight champion. Bruising, a book about Merz’s own experiences as a boxer, was published to critical acclaim by Picador in 2000 and was shortlisted for the Dobbie Award. Merz's short fiction has appeared in Meanjin, Island, Overland, and the Cardigan Press Anthologies Normal Service Will Resume and Allnighter. Her journalism has appeared in numerous publications, including the Age, the Sunday Age and the Herald Sun.